The CBCMed Programme is organising a conference to mark the passage to the new phase under the European Neighbourhood Instrument (ENI) which will run during 2014-2020. 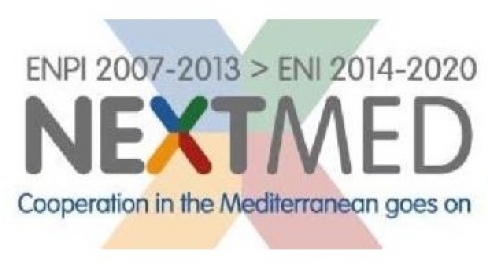 The NextMed Conference will take place on December 12, 2014 in Rome, under the sponsorship of the Italian Presidency of the Council of the European Union, and aims to showcase the achievements of Cross-Border Cooperation in the Mediterranean region and highlight coming challenges under the European Neighbourhood Instrument (ENI). The event will gather a wide range of actors of Euro-Mediterranean cooperation among political, EU and project representatives. Participants will have the opportunity to deepen their knowledge of the strategy, objectives and priorities of the new ENI CBC Med Programme. In addition, an exhibition will offer a journey through the 95 projects funded by the ENPI CBC Med 2007-2013 Programme. The new ENI CBC Mediterranean Sea Basin Programme 2014-2020 follows the ENPI (European Neighbourhood Instrument and Partnership) CBC Med 2007-2013. Funded by the European Union and managed by the Autonomous Region of Sardinia (Italy), the Programme will offer cooperation opportunities between partners from the Mediterranean area in fields of intervention such as economic development, education and research, social inclusion and environmental protection.